I’ve been making my way over to Europe since 2011 to go see bands that I couldn’t see in South Africa and last year I found myself in Czech Republic for Plat Fast or Don’t and Obscene Extreme. 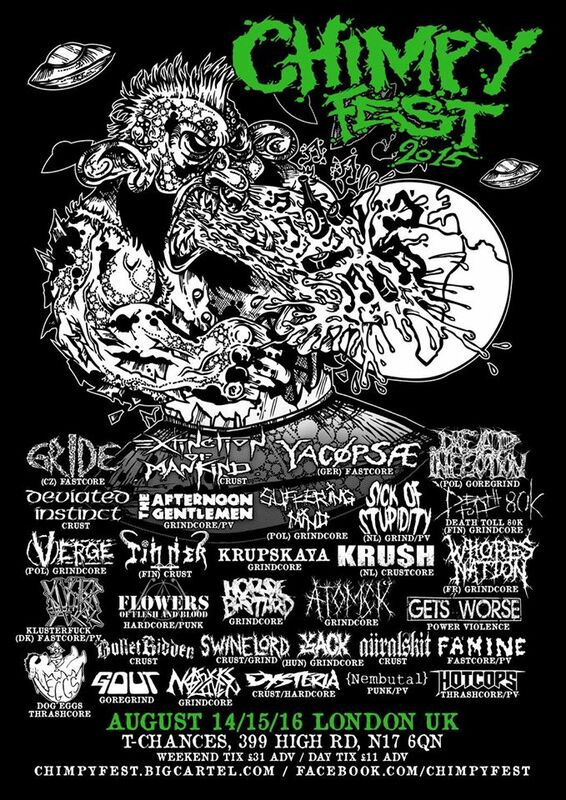 So this year I’m heading to the U.K. and more specifically North-London for Chimpy Fest from the 14th to 16th of August. I’m keen to see some of the bands I have been listening to for years and of course Suffering Mind whom are calling it quits. It will be the first and last chance for me to see them. This entry was posted in Live, Uncategorized. Bookmark the permalink.